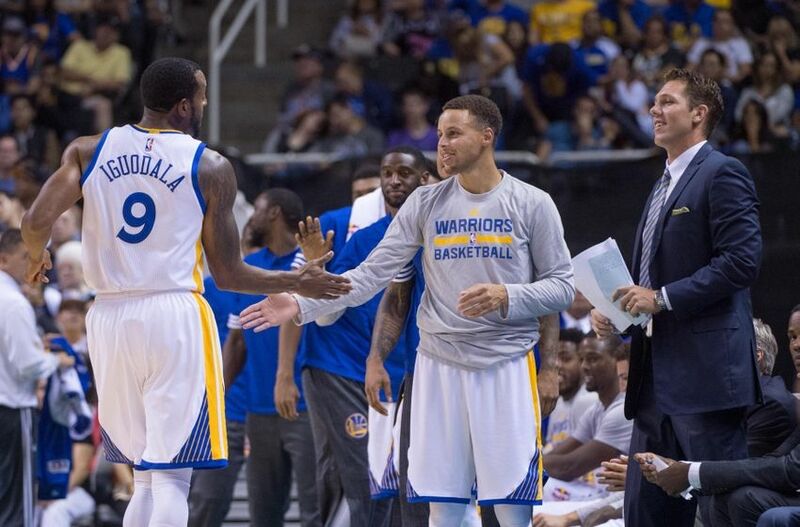 GSW: Stephen Curry Named Player of the Week, but Is He Best Player in NBA? There is currently a debate going on in NBA culture about who is currently the best player in the NBA. The leading candidates for this honor, Golden State Warriors guard Stephen Curry and Cleveland Cavaliers forward LeBron James, were both named Players of the Week for their respective conferences for the week of Monday, November 16th through Sunday, November 22nd. The 2014-15 NBA season was the best season of Klay Thompson’s young career. He averaged 21.7 points, 3.2 rebounds, and 2.9 assists on 46.3 percent shooting from the field and 43.9 percent shooting from three-point range. He was named to his first NBA All-Star Game, and he started the All-Star Game alongside his Splash Brother, Stephen Curry. In addition, he had his record-breaking 37-point quarter, and he was a key contributor to the Golden State Warriors’ title run last year. Many expected Thompson to be even better this season with more confidence and experience under his belt heading into his fifth NBA season. He hasn’t had a poor season so far by any means, but he hasn’t appeared to be quite as lethal as he was last season. The Golden State Warriors finished the 2014-15 season as NBA champions. The Warriors owned the number one overall seed throughout most of the regular season, and they won a total of 83 games last season in the regular season and playoffs, which is the third highest win total in NBA history. The Warriors have gone 8-0 to start the 2015-16 season, and they have dominated almost every single opponent that they’ve faced, as they have a league-leading +17.8 point differential so far this season. The Warriors look like they could repeat as NBA champions, but there are still a lot of games to be played and a lot of quality teams to overcome. We’ve asked five of our writers to answer five questions about the Warriors and the 2015-16 NBA season. Here are the five questions and the responses from our writers.